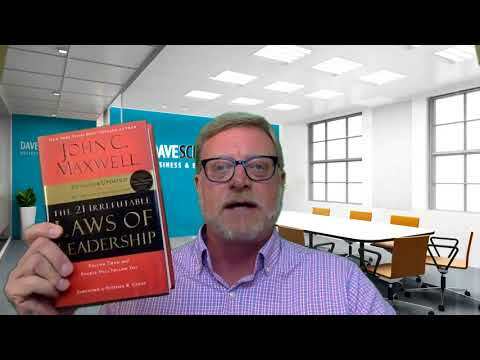 A premier expert on the topic of leadership is author and speaker Dr. John C. Maxwell, with whom you’ll be familiar if you’ve read the other articles in my series about his book, The 21 Irrefutable Laws of Leadership. One of my favorite laws from this book is the Law of Buy-in. In his chapter on the Law of Buy-in, John C. Maxwell writes, “Every message that people receive is filtered through the messenger who delivers it. If you consider the messenger to be credible, then you believe the message has value.” This is why celebrity endorsements are so successful—if people trust the celebrity, they’ll buy what they are selling. This idea applies to your business, too. If people trust you, they will follow you no matter where you lead. If they don’t buy into you as a leader, though, they will be reluctant to buy into your vision even if it’s aligned with their ideals. Maxwell puts it this way: if people buy into both the leader and the vision, they’ll get behind the leader. When they buy into the leader but not the vision, you’ll need a new vision, but it’s not the end of the world. When followers don’t like the leader and can’t get on board with the vision, however, people feel that it’s time to get another leader. You don’t want this to happen to you. The Law of Buy-in can help. To make the Law of Buy-in work for you, first consider this: what is your vision for your organization? What are you trying to accomplish? Consider whether your view is worthwhile before wondering how to help your employees buy into it. Next, consider your employees. How much do they trust you? Do you think they’d be willing to follow you, even if they don’t love your vision? If your employees don’t believe you, it’s time to think about why. It could be that you need to develop your leadership skills before you can successfully lead others. Take the time to build your credibility, both as a leader and on an individual level with your employees. They should trust that you have their best interest at heart. You can build this credibility by investing in their development, keeping your word, maintaining transparency, and setting a good example for your managers and employees to follow. If you are designated a leader by your company, you must be a good one. The long-term success of your business depends on it. And guess what—your people are watching! The Law of Buy-in can be difficult if you’re not sure how to lead effectively. Fill out my contact form for a free video call, and I’ll help you work on your leadership skills.